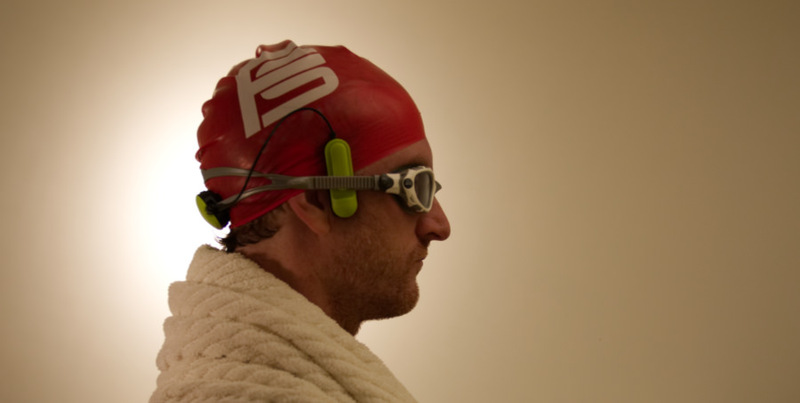 Using tech to track swims is unquestionably beneficial for post-workout analysis (for example, you can easily compare workouts to determine if your training is effective). Where it falls short is during the workout itself, because interfacing with a watch can impede your swimming form. Thankfully, this is the exact problem that the Platysens Marlin solves, and now it's seamlessly integrated with SportTracks. Runners and cyclists have a fairly easy time incorporating tech into their workouts; simply put on a watch or mount a bike computer and you're off to the races. Hardware can be more of a hurdle for swimmers. Bulky watches create drag in hydrodynamics, so the value they add must completely outshine what can be done with a pace-clock. This is where the Platysens Marlin comes into play. It's a device that primarily hides behind your head, leaving your arms free of obstruction. In addition to giving you actionable feedback during your workout via its bone-conducting speaker, the GPS-enabled version of the Marlin provides real-time navigation for open water swims (its companion app makes it possible to easily create swimming routes). In Open Water mode, the speaker can report Average Pace, and you can set it to update you every 50 meters, 100, 200, etc. Another critical feature is the ability to load custom training programs. No more mind-numbing memorization or fiddling with printed plans. Create your workout in the app (including fin, pull buoy, drills and more), and simply have the Marlin tell you the steps as you go. The Marlin is comprised of two modules: the main unit and a bone-conducting speaker. The main unit rests on the back of your head and the speaker sits in front of your ear, and they both attach to your goggle straps. The rear placement of the main module puts it in the ideal spot to utilize accurate GPS data outdoors. There is also a non-GPS, pool-only version available: the Marlin-P that will save you a couple bucks. The Marlin app is great for mapping open water routes and creating training programs, but you can automatically send your completed swim workouts to SportTracks to take advantage of its world-class analysis tools. Logging your swims on the same platform that you log other activities is vitally important to accurately determine your overall fitness — and SportTracks makes this easy. The dedicated swim-analysis charts in SportTracks are widely considered to be the most powerful available. That's why having a seamless link with innovative devices like the Platysens Marlin is a natural fit — if you seek the most performance-focused training tools for the water, you will be better positioned to take advantage of them when they work in harmony.